You’re always looking for ways to move faster, find more geocaches, and get more out of each adventure. So Geocaching HQ has designed a new navigation that will help you do all that and more. The new navigation is based on more than six months of research into how cachers like you use the Geocaching® app every day. We found out pretty quickly there were some things we could do to make it easier to navigate to geocaches and find the information you need to succeed at ground zero. New navigation mode. The navigation map now orients based on what direction you are facing. As you turn, the map will too so you can easily identify which direction the cache is. Plus, your distance from the geocache is now more accessible at the top of the navigation screen. New cache preview. The information you’re most likely to need is all included in the cache summary tray. Here you’ll find the number of Favorite points, distance from you, difficulty, terrain, and cache size with one quick glance. New cache details header. When you open cache details you’ll see the geocache pin on the map, geocache name, cache type, and two buttons: “Navigate” which switches you into navigation mode, and “Log” so you can easily start a draft or log your experience. 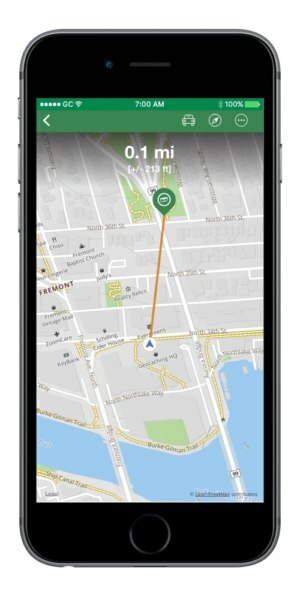 While navigating to a geocache or while in north up mode, if you manually pan, zoom, or rotate the map your location arrow will indicate the direction you are facing. If you’d like to return to the navigation mode, simply tap the “Center on me” button to resume. 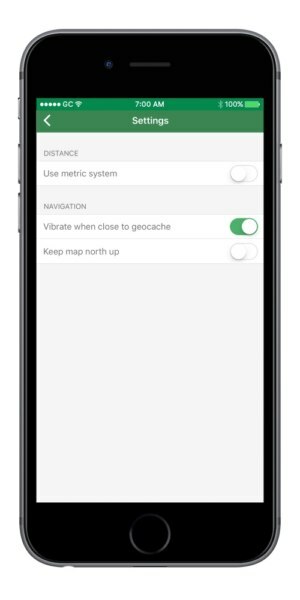 We changed the ‘close to geocache’ notification sound to a more subtle vibration. Visit your Settings to select this stealthier option. Your phone will vibrate when you are within 32 feet (10 meters) of the geocache. We know that it can take time to adapt to a change. 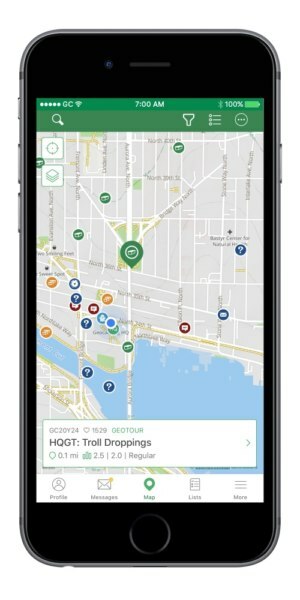 In the coming days, you’ll start to see an upgrade available to your Geocaching® app in the Apple App store or Google Play store. If you are having a hard time finding something that moved, please visit the Help Center, reach out to us in the forums or through our customer support.